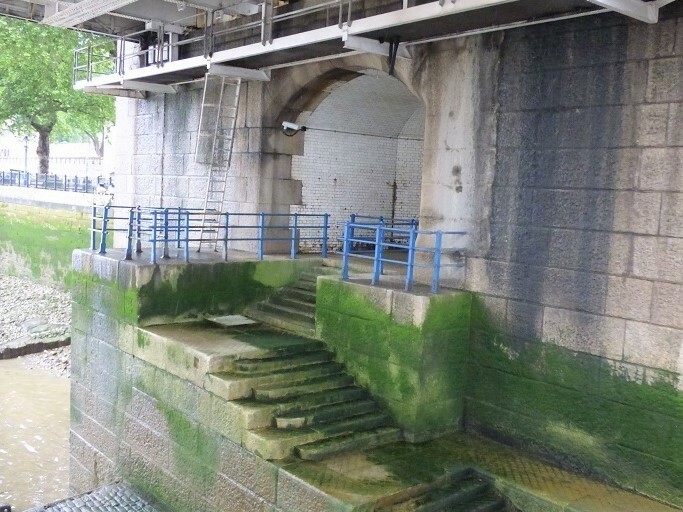 Dead Man’s Hole, Below Tower Bridge, At The Northern End. 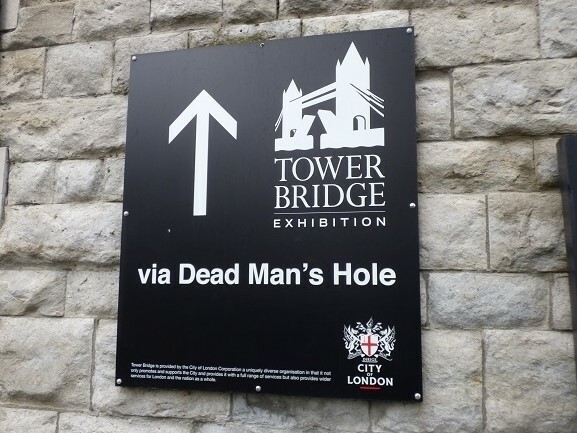 While constructing Tower Bridge, Dead Man’s Hole was built and designed to retrieve corpses which were dumped in the Thames or washed up there. 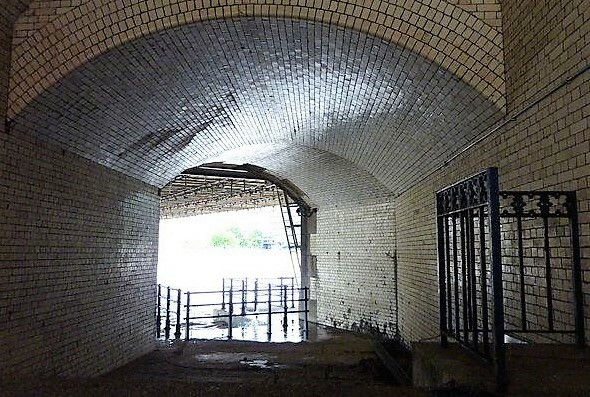 Next to the steps down to the water, is a small mortuary, which was used for post mortems and to keep the bodies, also used by police, until they could be identified and removed for burial. The white tiles, shown in one of the pictures, was said to be necessary because often the bodies were bloated and occasionally exploded because of the build-up of internal gases; obviously this made cleaning easier. One famous person passed through there in 1941- Josef Jakobs was executed by firing squad at the nearby Tower of London and his body was taken to this mortuary for a post mortem, prior to his removal for burial.